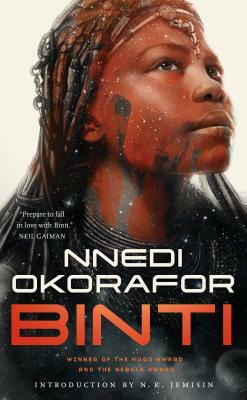 If Binti hopes to survive the legacy of a war not of her making, she will need both the gifts of her people and the wisdom enshrined within the University, itself — but first she has to make it there, alive. N(ora). K. Jemisin is an author of speculative fiction short stories and novels who lives and writes in Brooklyn, NY. Her work has won the Hugo Award and been nominated for the Nebula and World Fantasy Awards; shortlisted for the Crawford, the Gemmell Morningstar, and the Tiptree. She has won a Locus Award for Best First Novel as well as multiple Romantic Times Reviewer’s Choice Awards. Her short fiction has been published in pro markets such as Clarkesworld, Postscripts, Strange Horizons, and Baen’s Universe; semipro markets such as Ideomancer and Abyss & Apex; and podcast markets and print anthologies. Her first six novels, a novella, and a short story collection are out now from Orbit Books. Her novels are represented by Lucienne Diver of the Knight Agency. She is currently a member of the Altered Fluid writing group. In addition to writing, she is a counseling psychologist and educator (specializing in career counseling and student development), a sometime hiker and biker, and a political/feminist/anti-racist blogger.